Do you know what digital analytics can do for you, your stakeholders, your visitors or your institution? In education, we can’t spend days working on analytics, so here is a quick list of 3 practical things that can be done with the help of digital analytics. Implement a comprehensive campaign tracking plan to identify which social ads perform better than the others or which search keyword ads should NOT be discontinued despite apparently low click through rates. By segmenting campaign traffic, you can find out very easily what the visitors brought by a given campaign do on your website. Relying on the same segmentation techniques, you can make recommendations to her stakeholders using email newsletters or email marketing messages. You will be able to assess the performance of the email lists used for these messages as well, going so much further than the regular open and click-through rates. Since your homepage redesign launched last month, last year, you will be able to learn more about the life cycle of the news stories featured on the homepage slider. This wasn’t possible until the implementation of Google Analytics event tracking on the website as all these news stories were part of a single page. Now that the feature is set across the site, it’s very easy to know how many visitors interact with a given story. When activity decreases, you know it’s time for fresh stories. You can use search and web traffic data to learn more (demographics, location, devices, etc.) about the web visitors interested in the a particular academic programs offered at your school. 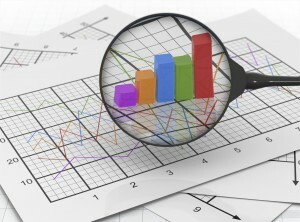 This analytics profiling has provided very useful insights to better target initiatives to market specific programs. This article derived from CollegeWebEditor for use in my school.